Hardwood Floor Installation Package — $11.50 per sqft! Includes wood (red or white oak), installation, and refinishing. When it comes to the installation of new Hardwood Floors in your home, trust the experts at Heavenly Hardwood Floors to do the job right! Backed by years of experience and knowledge in the Professional Hardwood Floor Installation, we take the stress and worry out of your home improvement project. When installing new Hardwood Floors in your home, there are a few initial decisions to be made. The first is whether to install a pre-finished or unfinished hardwood floor. The Pre-finished Hardwood Floor comes stained and sealed from the factory ready to be installed specific to the type of wood and stain color of your choosing. On the other hand, unfinished wood can be installed, sanded and stained to your choice of color, then sealed with three coats of polyurethane. It’s really a personal choice and cost will ultimately depend on the type of wood you buy. Some examples of pre-finished and unfinished wood include: Red Oak (most popular), White Oak, Cherry, Maple, Hickory, Pine and a host of others. There are several grades of wood as well including select and common (often referred to as #1 or #2 grade). This has to do with the consistency and finish of the wood grain. A “select #1 grade" will include less grain and knots in the wood finish. Heavenly Hardwood Floors will be happy to review all options and provide wood samples for you to show the difference in grade options. Whichever type of Hardwood Floor wood you choose for installation, it is extremely important to let the wood “acclimate” to the temperature and humidity of the room it’s being installed in prior to installation. Simply put, let the wood sit in the room, unboxed for 5 to 7 days prior to installation in order to let this “acclimation” process occur. Wood is a natural substance in which temperature and humidity can greatly affect the wood fibers. Letting the wood acclimate will reduce future problems with the floor “gapping” or swelling up in the long run and provide for a nice smooth installation process. Once the wood has acclimated to the temperature and humidity in the room, it is equally important to lay down a vapor barrier over the floor prior to the wood being installed. This will reduce the amount of moisture coming up through the floor boards, thus reducing expansion and contraction of the wood. Heavenly Hardwood Floors will lay down 30# resin paper prior to any Hardwood Floor being installed to protect the newly installed wood from moisture. After the vapor barrier has been set, it’s time to install the actual wood. Each installation project Heavenly Hardwood Floors does presents its own unique set of circumstances and challenges. This is where experience and knowledge pay off. 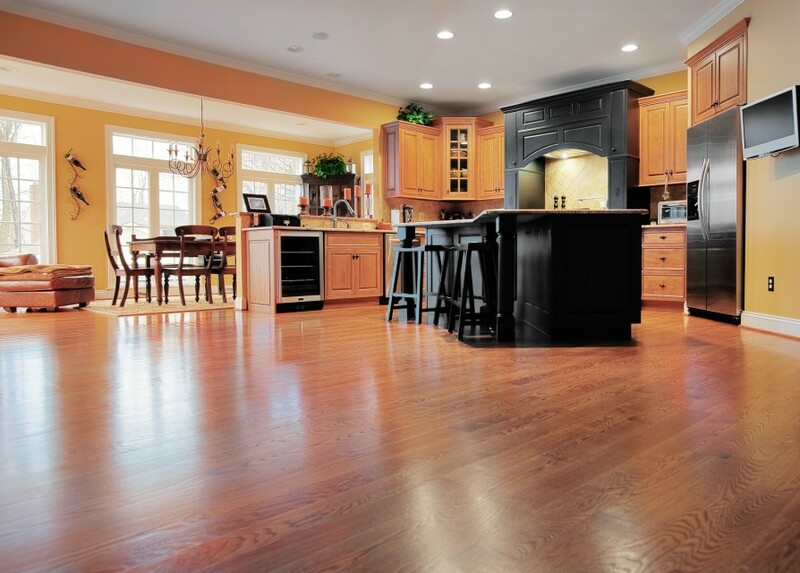 Over the years, we have seen it all and have learned to overcome the difficult aspects of installing Hardwood Floors. We skip no steps or cut any corners. When Heavenly Hardwood Floors installs your Hardwood Floor, you have just become our most important priority. Let us earn your business, and give us the opportunity to let our years of experience and expertise make your Hardwood Floor Installation flawless!